Fibromyalgia in Children and Teens — What Can Help? 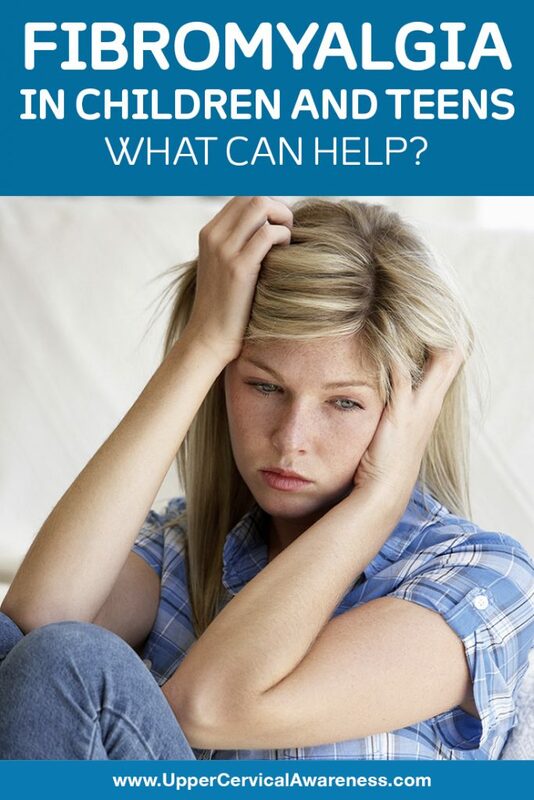 Home/Fibromyalgia / Chronic Fatigue Syndrome/Fibromyalgia in Children and Teens — What Can Help? Hearing the diagnosis of fibromyalgia (FM) can be a very scary thing. But, if you are a parent and it is your child being diagnosed, it can be terrifying. Do you suspect your child may have fibromyalgia? It is easy to tell if they might be suffering from an ear infection or strep throat. However, fibromyalgia can be tricky. There is no simple throat swab or actual test to confirm or deny the existence of fibromyalgia. If you notice your child complaining of being tired all the time, feeling achy, and having problems sleeping, you may suspect fibromyalgia. However, these symptoms can be part of a number of illnesses. This is why fibromyalgia is often overlooked in children and teens. It is also pretty rare, as it is mostly seen in adults. Most people with FM are women over the age of 18. Children only make up around 7 percent of those with fibromyalgia. Fibromyalgia is part of a group of conditions called musculoskeletal pain syndrome, or MSPS. When children have FM it is referred to as juvenile primary fibromyalgia syndrome, or JPFS. If the child has another co-existing condition, such as arthritis, it is then called juvenile secondary fibromyalgia syndrome. The following symptoms are often seen in children and teens with fibromyalgia. Children who have a parent with fibromyalgia are more likely to develop it. This suggests there is a genetic component to the condition. Children who have irritable bowel syndrome, sleep disorders, or premenstrual syndrome are at a higher risk to get FM. No one really knows what causes fibromyalgia. In addition to the genetic link, there may be a connection to other health conditions, including immune, psychological, biochemical, and endocrine problems. The tender spots, mentioned above, are sore spots on the muscles. They feel sore even when light pressure is put on them. To locate these spots, the doctor presses his or her thumb on 18 different areas that are usually sore with FM patients. Kids with fibromyalgia will feel soreness in at least 5. To be diagnosed, the child will also have had symptoms for at least three months. With children, the soreness may begin in just one area of the body but eventually progress to other parts of the body. The pain has been described as aching, burning, tightness, tenderness, or stiffness by children with FM. Medication: The same medications used to help adults may be suggested for children. However, the safety and effectiveness of these drugs have not been well studied in children. Exercise: Children with FM tend to be less active. This is understandable because of the pain they are experiencing. However, it is important to encourage your child to exercise as much as possible. A physical therapist can suggest exercises for your child to do and teach them how to begin gradually so as not to inflict further stress or pain on their body. Here are some suggestions for helping your child ease into his routine at school with his or her diagnosis of fibromyalgia. Use a workable schedule: It is important to work with school officials and help them set up a good, manageable schedule for your child. Keeping gym class at the proper time during the day and educating staff about your child’s limitations are all vital. Don’t focus on the illness at home: When your child arrives home from school, don’t ask him or her all about their illness. Rather, focus on the good things happening with them at school, whether that has to do with friendships or their favorite teacher. Keep the focus off of their health condition. If they are having a problem, they will let you know. Create a safe place for them at school. Work with school officials to have a place of retreat available for your child if he or she gets overwhelmed. It may be at the nurse’s office or some other area where they can de-stress. They may need more breaks than the average child. Upper cervical chiropractic is an alternative form of care that can bring long-term benefits. It has been determined through various case studies that fibromyalgia can be the result of a misalignment in the bones of the upper cervical spine, particularly the C1 and C2. This type of misalignment can happen due to sporting injuries, roughhousing, tripping and falling, or any other activity children take part in that can impact their head or neck. Using a gentle method, we realign the bones of the neck. This allows the body and brain to communicate properly once again. When the body begins to heal, fibromyalgia symptoms often decrease or go away completely. Dr. Hunter2019-04-16T16:42:58+00:00July 8th, 2018|Fibromyalgia / Chronic Fatigue Syndrome|Comments Off on Fibromyalgia in Children and Teens — What Can Help?